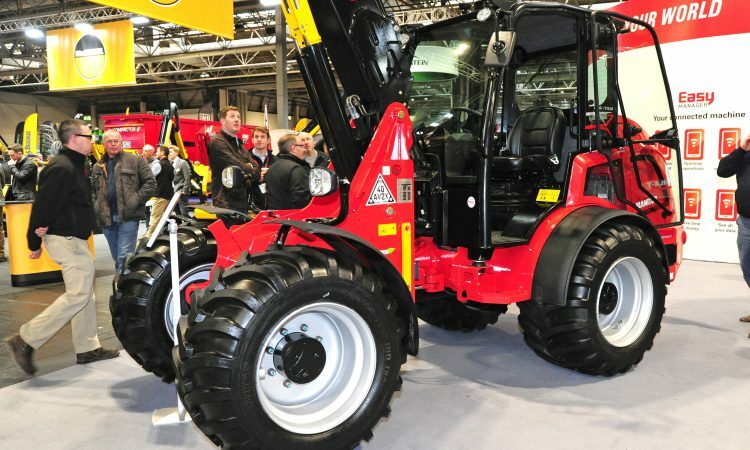 Although Manitou was keen to promote the re-badging of Mustang skid-steer loaders in its own red livery at LAMMA 2019, the machines remained unchanged (even down to keeping the same model numbers). 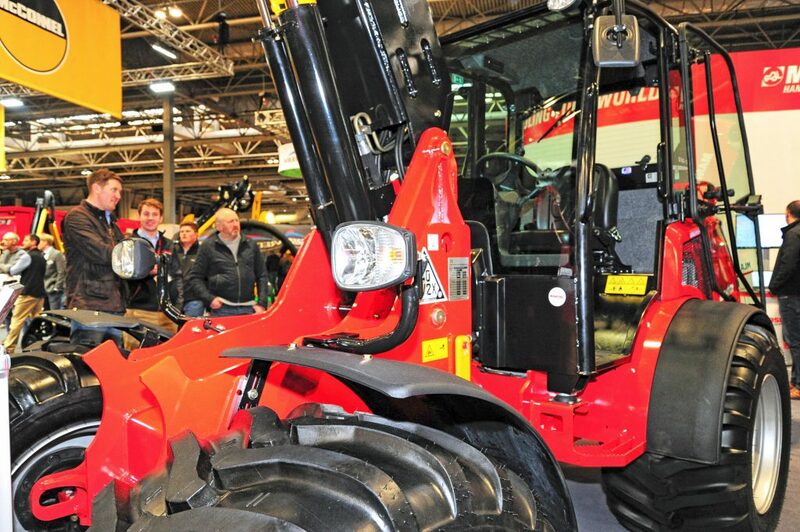 Another eye-catching exhibit on the stand was the MLA-T 516-75H articulated telescopic loader (pictured). This model is believed to be produced by the company’s Gehl subsidiary. The new Manitou has a capacity of 1.6t and a maximum lift height of 4.9m. The overall weight is approximately 5t. 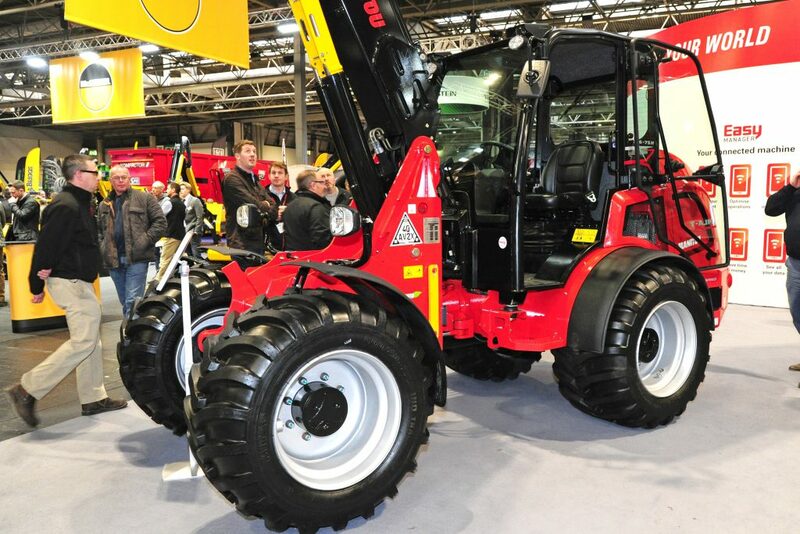 It is fitted with a 74hp Deutz engine, which is coupled to a two-speed hydrostatic transmission (20kph top speed). A three-speed transmission is available as an option, which results in a 30kph top speed. The lower gearing on both transmissions is limited to about 8kph. Options include a “high-flow” hydraulic pump, which delivers 114L/min (the standard unit delivers just 70L/min). ‘HydraGlide’ ride control is also available. Auxiliary hydraulics, at both the front and rear, can also be specified. 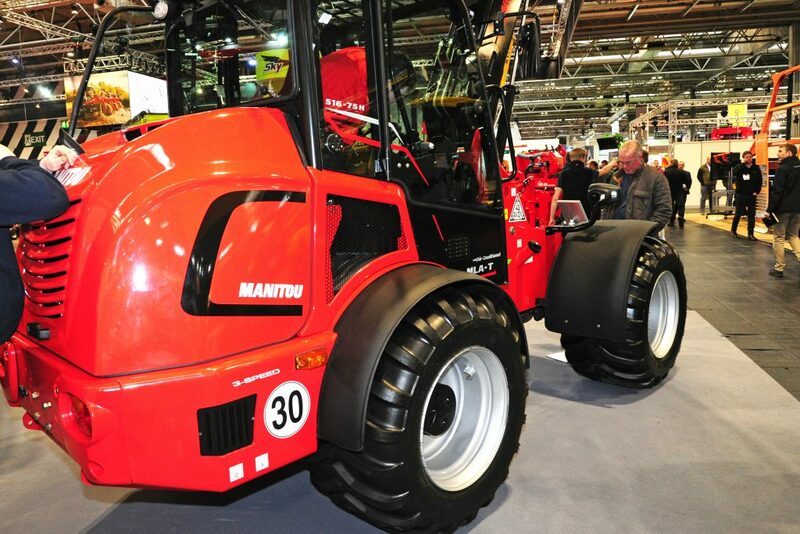 This is the second articulated telescopic loader in Manitou’s new range. The larger MLA-T 533-145V+ was launched at previous events, although it didn’t reach the market for some time. This earlier model has a lift capacity of 3.3t. It’s powered by a 145hp Deutz engine.